So far 2017 has been great for new product launches for our gluten-free community. I’m super excited to see all the new certified gluten-free products that come out for us this year! Today I get to tell you about the newest product from my friends at Enjoy Life! They’ve sponsored this post so I can share all the details with you! Introducing… ProBurst Bites! 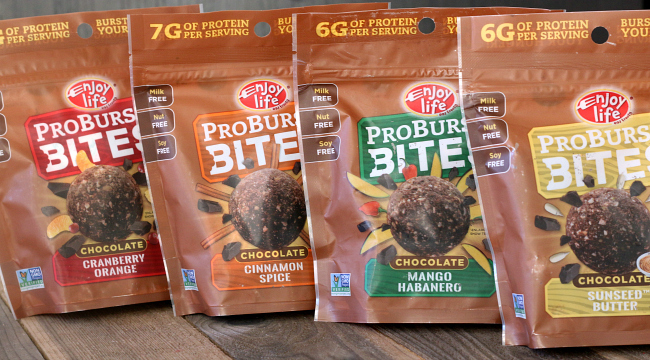 These are a great choice for snacking on the go or for a midday pick-me-up! Or, if you’re like me, you’ll set them out for your constantly grazing, growing tweens to snack on while they’re home for yet another snow day (seriously, all the snow and super cold here!). 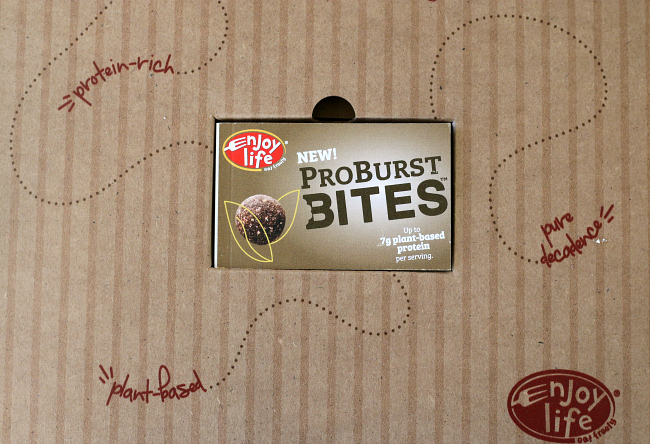 ProBurst Bites are high in plant-based protein, with 6-7 grams per serving. 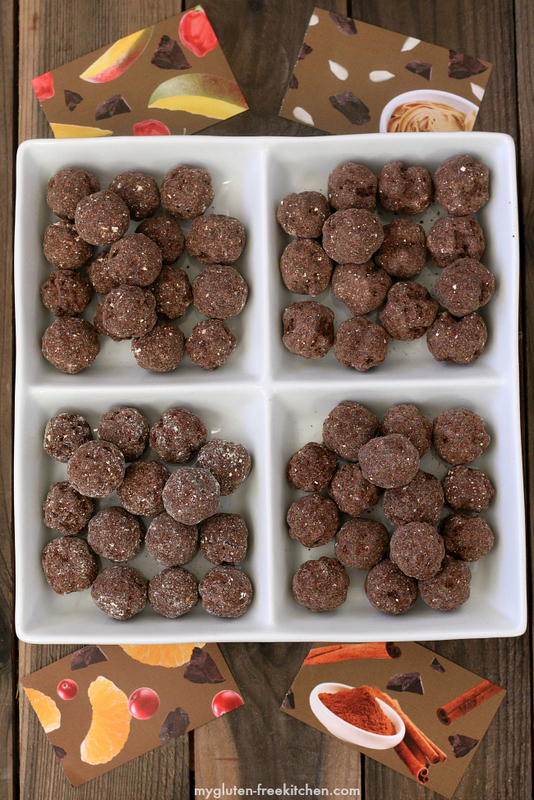 Each one has a smooth, creamy chocolate center which we all loved! 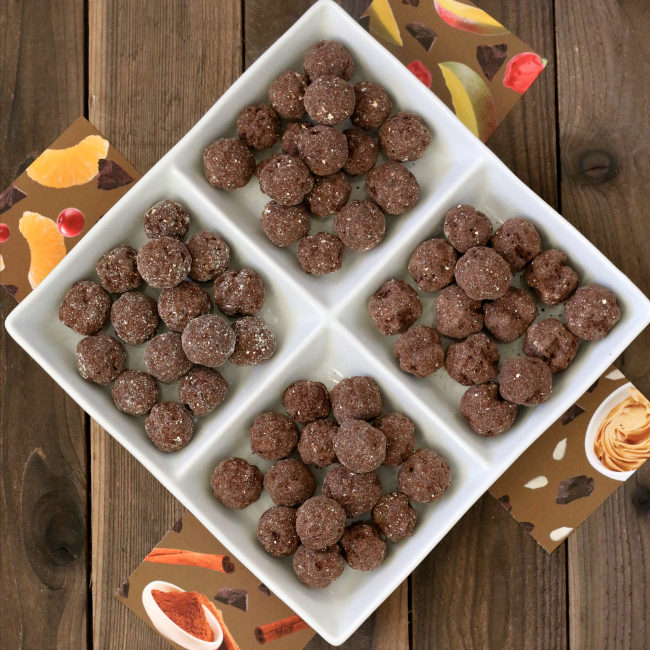 We thought all the flavors were good – you could definitely taste the spices or fruit in them. While they were all good, the Sunseed Butter ones were the first ones completely polished off within a day! The remaining flavors will be bagged up 3 to a bag (that’s the recommended serving) and sent along in work bags and backpacks. They will make such a great school snack since they are free from the top 8 allergens. Of course, like all of Enjoy Life’s products, they’re certified gluten-free too, safe for us with celiac! Where can you buy these? For now, they’re available directly from Enjoy Life’s store You can also buy them on vitacost.com. This sponsored post was created through my partnership with Enjoy Life Foods. As always, all opinions are my own. Collaborating with brands I love allows me to keep bringing you new and varied recipes and tell you about new products that are safe for us celiacs! Thanks for your support!